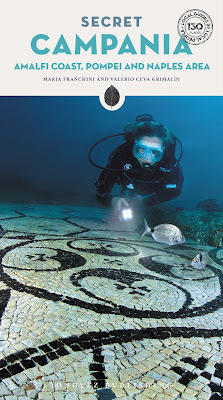 The Tomb of the Diver (480/70 BC) is the only evidence for large-scale Greek painting, other than on vases, prior to the fourth century BC. It is also unique in terms of the theme portrayed on it: a naked young man dives into the ocean, a visual metaphor for the transition from life to death. After the funeral, which was held in about 475 BC, the frescoes remained in darkness for almost two and a half millennia until their discovery in 1968. The walls of the box tomb, made of travertine slabs, are decorated with scenes of a symposium (banquet).The exceptional nature of the tomb lies in the metaphysical message it conveys through visual language. In the Greek cities of southern Italy, philosophers such as Pythagoras and Parmenides were tackling questions linked to metaphysics and life after death.